There have been two criticisms that Nintendo receives often from critics. 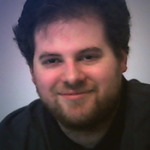 The first is that they only develop games for kids, and have older games as an afterthought. The second is that they stick to the same designs for their core franchises. While Breath of the Wild’s overarching story remained the same, its design is anything but. Starting from the very beginning of the game, Breath of the Wild goes in a different (and aimless) direction. If you’re a Zelda fan, you’ve probably heard the words above more times than you can count. Previous Zelda games have always been about the tutorial preamble before the world opens up around the halfway point. During this time, the player is guided around from dungeon to dungeon and given very clear instructions on how everything works. Breath of the Wild goes with one of the most organic tutorials I’ve seen in a game, by removing all guided instructions. After one screen that shows you how to move and control the camera, there is no further on-screen tutorial. What the game does instead is turn the first area into a tutorial. On top of the plateau, you are given a microcosm of the Breath of the Wild experience. Without any guidance, the player will be taught how to fight, cook food, climb, survival the elements, and use the tablet to mark locations for exploration. 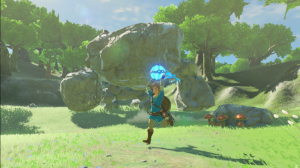 Each of the temples available will teach the player how to make use of one of Link’s rune powers which form the backbone of the player’s options. Speaking of the player’s options, let’s talk about one of the more radical concepts that Breath of the Wild does to game design. 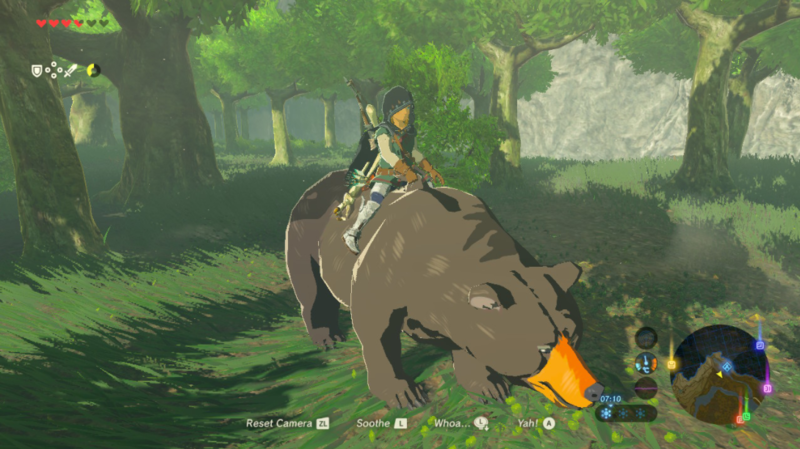 The most surprising thing I found playing Breath of the Wild is that this is one of the best examples of Emergent Gameplay/Design I’ve seen, and coming from Nintendo no less. Going forward, I think I’m going to use this game as the example to explain to new people. Each one of Breath of the Wild’s mechanics is designed around a specific use, but has utility in the grand scheme of the world. The ability to climb up almost any surface is the simplest example. You can use it to get around enemies, find hidden treasure, set up for some epic gliding, and much more. Even the cooking system is an example of emergent design, as it allows players to create whatever buffs they want given the ingredients they have. We haven’t even spoken about Link’s runes yet, and the complexity therein. People have found interesting ways of combining the various runes to create new strategies. Each rune has unlimited use; allowing the player to always have them available for experimenting with. One of the more understated elements of the game’s brilliance is that it’s not that deep mechanic-wise. Within the first few hours of play, Link is given all the abilities that he’s going to need to solve the game’s various puzzles and dungeons via the runes. Everything else is built on the player’s ability to take these elements and figure out how to use them. That kind of design of making it about the player takes me to my final surprising point: This is a hard game. Going back to the first point, many people find Nintendo games on the “kiddy” side. I don’t know what their plan was with Breath of the Wild, but this is the hardest game I’ve played from Nintendo since the NES era. For the first time in forever, this is a Zelda game that does not hold back on the player. Enemies can routinely hit you for more health than your starting max right out of the tutorial. The complete freedom to explore also means the complete freedom to get in over your head. Outside of the runes, you will have to earn any further abstracted progression slowly. This is a Zelda game that makes you very excited to get another heart container or stamina point. Acquiring new armor and the perks within can feel like a major step forward. There is no guidance on where to go or how to find things. It’s up to you to look at the horizon, check your map, and listen to the general advice of everyone you meet. One of the biggest changes compared to previous Zelda games is that the dungeons don’t give you new tools to explore. Instead, they provide you with powerful advantages designed to supplement what you already have. At the end of the day, this is the first time that a Zelda game feels like legitimate adventure. You and Link will start out barely able to do much in the world. If you can push forward, you will get to be a part of one hell of a hero’s journey. 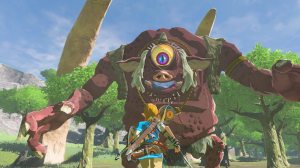 Is Legend of Zelda Breath of the Wild a perfect game? No; I do have complaints about some of the design systems that I’ll talk about in my review of it. With that said, I haven’t been this impressed with a Nintendo-designed game since playing Super Mario Galaxy. I don’t know if this is a turning point for the company or just for the Zelda franchise, but if this is their new concept for the series, then I am all for it.